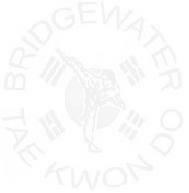 At Bridgewater Tae Kwon Do we offer unparalleled WTF certified courses in Olympic style Tae Kwon Do. 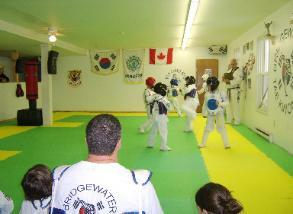 some of the best instruction in Canada happens right here in Bridgewater. 3rd degree Black Belt. 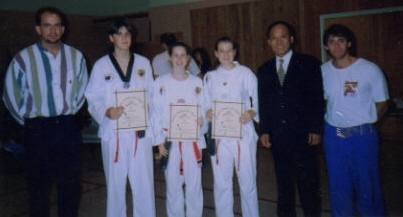 Several current students are within a year of achieving the rank of Black Belt. knowing you can defend yourself if necessary , we have a WTF CERTIFIED CLASS for you. Bridgewater Tae Kwon Do will travel with you where ever in the world you may end up. Join today , realize your potential , and become part of the world's largest martial arts organization. the cost for this program can be as low as $25.00 per month. Master Oh Jang Yoon , Master Joseph Wagner.